Starting in February, the desert floor comes alive with blooms – which may seem odd for a place that is known for being one of the driest in the world. This year is unique, however because the valley received an unusual amount of rain in the fall and winter of last year. During my most recent visit in December, we experienced a shower one evening, which is more rain than I’ve personally seen in Death Valley. This unusual amount of rainfall can indicate one thing -- a desert in bloom this spring. Spring comes early to the valley, usually between early February to mid-April. But these are also the ideal months to visit, since temperatures at this time are also mild. Several tour operators can take you to Death Valley and have departures in February and March -- offering everything from journeys by motorcoach to walking trips and adventure travel. Explore the heights and depths of this arid valley with Country Walkers where you will walk through the polished marble of Mosaic Canyon, explore the colorful mineral deposits of Artists Palette, descend from Dante’s View and check out Telescope Peak on a four-day, three-night walking tour. Each day, plan on between two and five miles of walking. Ideal times are between the late fall and early spring when temperatures in the valley are warm and mild. Explore the irony of largest park in the lower 48 states, Death Valley, with Austin Adventures. Expert guides will introduce guests to rolling sand dunes, glorious palettes, golden canyons and rocky volcanic remnants. Reside in an oasis fueled by one of the state’s largest and oldest aquifers located in one of the driest valleys in the world. The tour includes bike rides and Jeep rides, backcountry exploration, hiking and more while you reside in the comfort of the historic Furnace Creek Inn. Globus offers guests the chance to experience all the amazing attractions on its Southern California tour – such as Long Beach, Catalina Island and San Diego – as well as visit two of the state’s most stunning national parks, Death Valley and Joshua Tree. Highlights of the trip include stargazing in Death Valley, a Jeep tour in Joshua Tree National Park, a visit to Ash Meadows – the largest remaining oasis in the Mojave Desert and home to nearly 30 species of plants and animals that do not exist anywhere else on earth – like a desert Galapagos Islands. In the Southern California area, guests will be able to visit the Cabrillo National Monument, the Hotel Del Coronado in San Diego and ride the aerial tramway in Palm Springs. Spend six days in Death Valley National Park with Smithsonian Journeys. Highlights of the tour include the Shoreline Butte, Badwater, Harmony Borax Works, Dante’s View, sand dunes, off-roading in Titus Canyon and a visit to Ubehebe Crater. 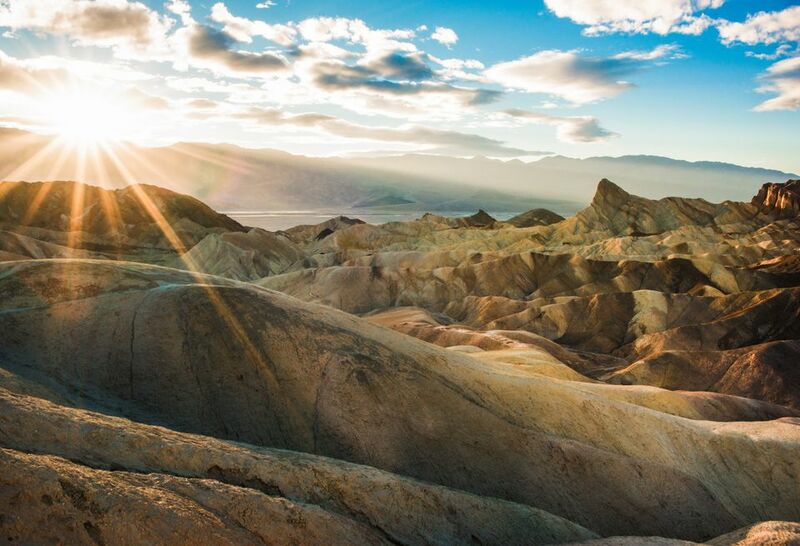 You will have the chance to experience sunrise at Zabriskie Point, presentations from Smithsonian experts throughout the journey, hiking in Golden Canyon, a walk along the Salt Creek and more. One of the best parts of the journey is a visit to the historic Amargosa Opera House, the creation of dancer and artist, Marta Beckett. Guests will have a chance to watch a documentary about the opera house in preparation for the visit and then tour it on the last day of the trip. The journey finishes with a visit to Ash Meadows National Wildlife Refuge on the way back to Las Vegas where the journey is complete. NOTE: Many tours also include a visit to Scotty’s Castle, but due to flash flooding in October 2015, the castle is currently closed and undergoing a refurbishment. What's Death Valley Weather Like? We know! Read This and You Will, Too.